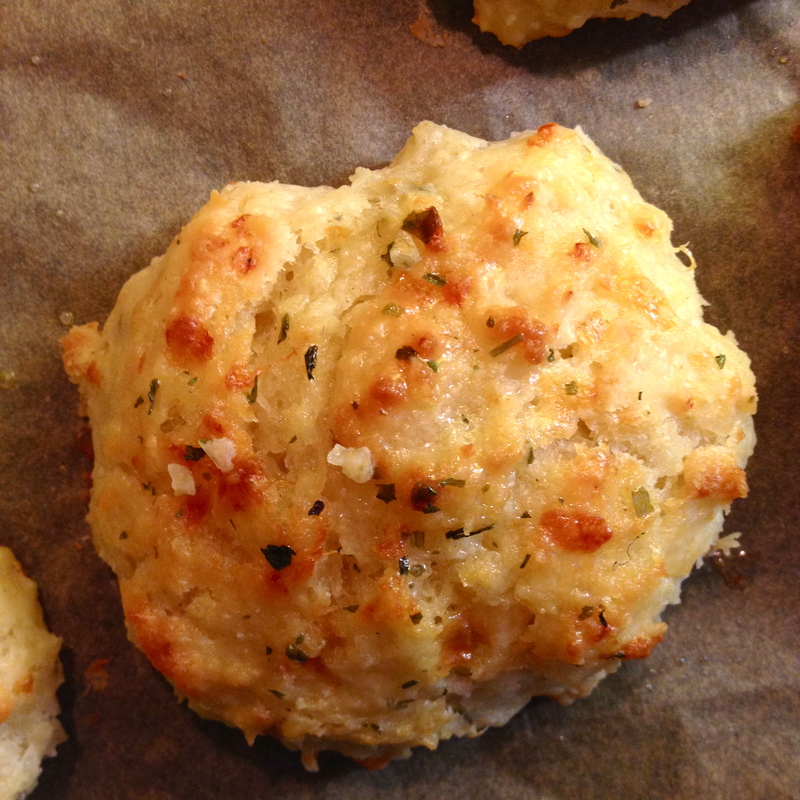 I’ve tried many many recipes, mostly ones that start off with an instant biscuit mix, but that can sometimes be a problem because instant biscuit mix isn’t available everywhere, so behold, a cheddar bay biscuit recipe from scratch. And it’s really easy to make too. All you need is some good cheddar cheese. No Adam’s pizza cheese or cheese slices that won’t expire till the end of time. Some really good cheddar cheese. The rest of the ingredients are home staples or easily available. Preheat your oven to 200 C. Line a baking sheet with parchment paper. In a medium bowl mix the flour, baking powder+baking soda, sugar, salt, cayenne pepper, garlic powder(if you have it, if not then add the garlic paste to the buttermilk mixture) and shredded cheese. Once the biscuit mixture resembles this you can scoop out 1/4 cup portions and place them about 2 inches apart on the lined baking sheet until the mix runs out. I got 11 biscuits, but you can can drag it out to 12. Bake them on the center rack for about 12-15 minutes, or till the tops start turning golden brown. In a small microwave proof bowl melt the butter, dried parsley and garlic or onion powder. 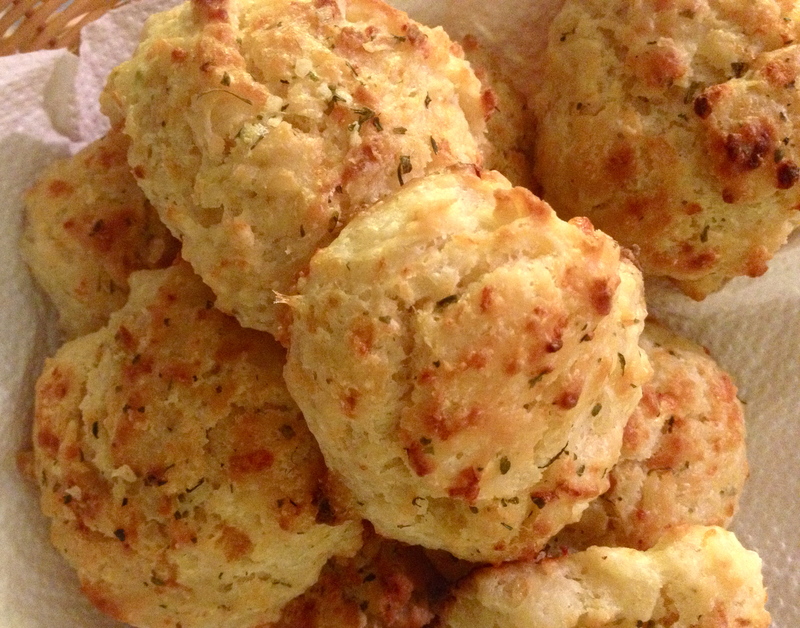 Brush this butter mix over the biscuits and return them to the oven for 2-3 minutes. 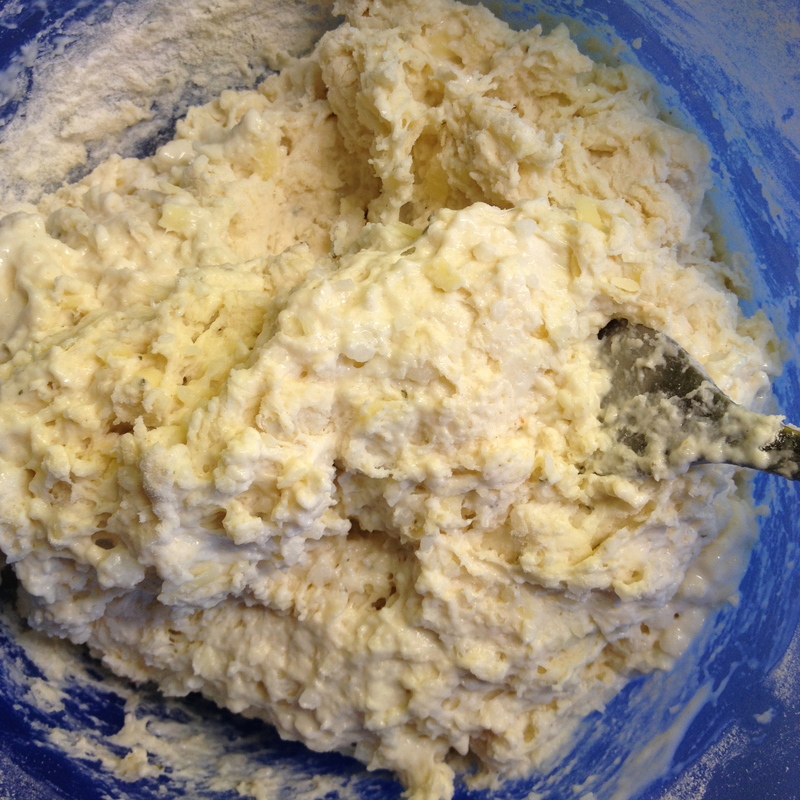 If you don’t have garlic or onion powder, just add 1/2 t garlic paste to the butter. And please note that I’ve listed garlic powder OR onion powder in the topping ingredients.